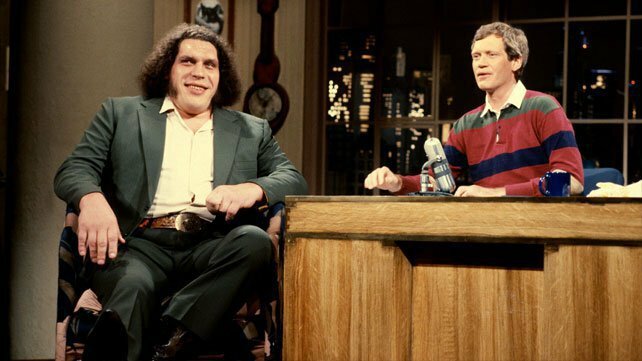 A couple of weeks ago, the “CM Punk of ESPN” Bill Simmons mentioned on his podcast that there existed footage on YouTube of Late Show host David Letterman interviewing the “Eighth Wonder of the World” & the first inductee in the WWE Hall of Fame, Andre the Giant on his old late night show on NBC. After heading YouTube to find the video (which is not that difficult), I eventually found it and the interview was a joy to watch and was just wonderful. So, here are ten things that I learned/took from that interview, after the break. 2. 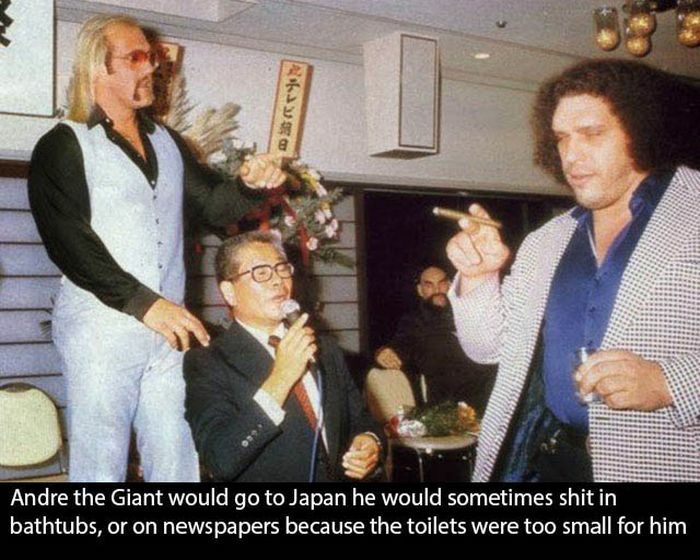 Andre the Giant claimed to have actually drink 117 beers in one night (as a wrestling fan, I’m familiar with this story). 3. Andre the Giant had owned a French-cuisine restaurant in Montreal, Quebec, Canada. 4. It’s likely this interview took place on January 23, 1984, because following the interview, Andre teamed up with the Soul Patrol (Tony Atlas and Rocky Johnson, whom I’ve written about before for Black History Month) wrestled “the Three Samoans” in Madison Square Garden in a six-man tag team match. 7. Andre weighed in at 560 pounds when he quit drinking beer 14 months before this interview. At the time of his Letterman appearance, Andre stated that he’d lost 90 pounds, trimming down to 470 lbs. 8. Andre essentially swapped drinking beer with drinking white wine, saying that he’d usually drink “2-3 bottles” at most sittings. 9. Andre chose not to lift up Letterman because another unnamed TV host had sued him after he sustained an injury from Andre lifting him up off the ground. 10. Letterman said the show had to break not for commercial, but for “station identification.” You’re welcome.